Jumper Wires-Female to Female 8 inches(20 centimeters)long in a 50 unit pack. 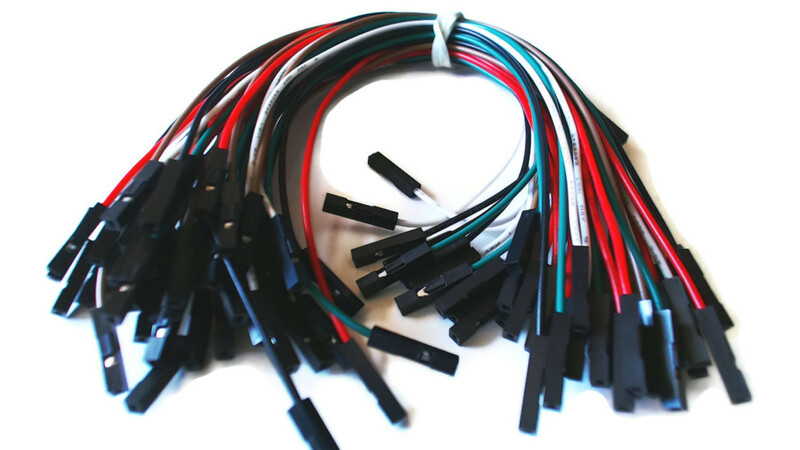 These 50 packs of jumper wires are a great start to prototyping, do it yourself projects, hacking mods, and more. These are a great addition to a Papilio and BreadBoard, can be used for any application where you have 2 male prongs and need to bridge the connection.